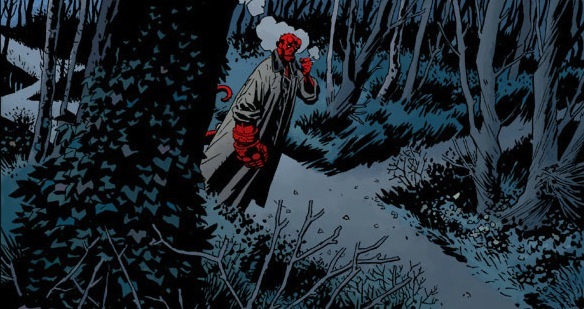 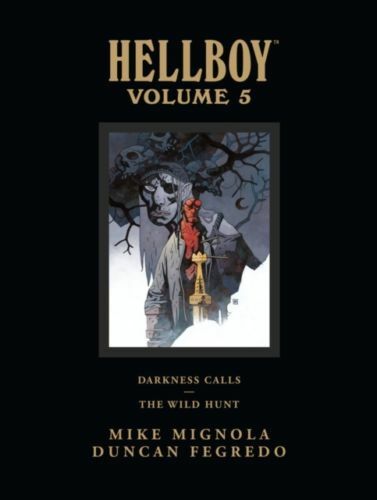 Volume five of the Hellboy Library Edition collects Darkness Calls, the eighth trade paperback, and The Wild Hunt, the ninth. 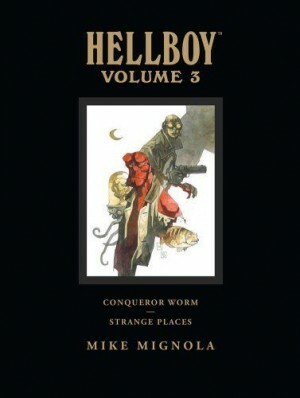 These two collections feature the artwork of Duncan Fegredo, who takes over the heavy lifting on the ongoing Hellboy saga so that Mignola can move things along, and this volume is noticeably faster paced and busier than previously. 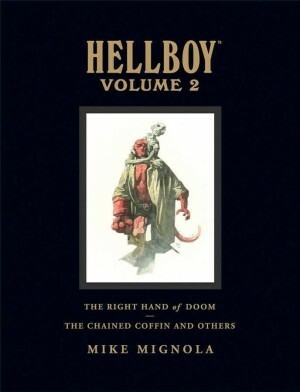 Fegredo is a great choice for this book with a very sympathetic style, which takes Mignola’s sense of composition and overlays the layouts with some gorgeously intricate linework that increases the amount of information on the page but doesn’t overload it, which is quite a trick. 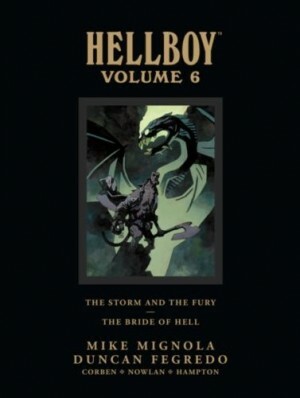 There is an extra-large section of commentary, sketches, character designs and other drawings at the back of the book from both Mignola and Fegredo, discussing their collaboration and working methods in an informative and funny way. 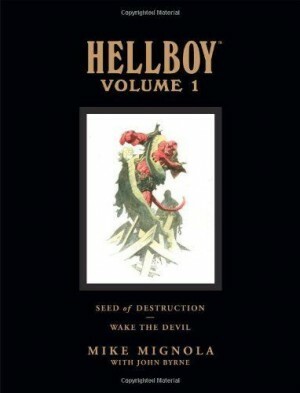 At a very reasonable price point for such a well-designed collection of four-hundred-plus pages of large-format colour art, these editions are the definitive way to enjoy the series and present extremely good value for dedicated Hellboy fans, especially when contrasted with the Absolute volumes from DC that cost twice as much.